Mo Salah, take a bow, you absolute BEAUTY! Our Egyptian King made it 2-0 against Chelsea this afternoon with his best goal of the season – and arguably the best he’s ever scored for Liverpool. 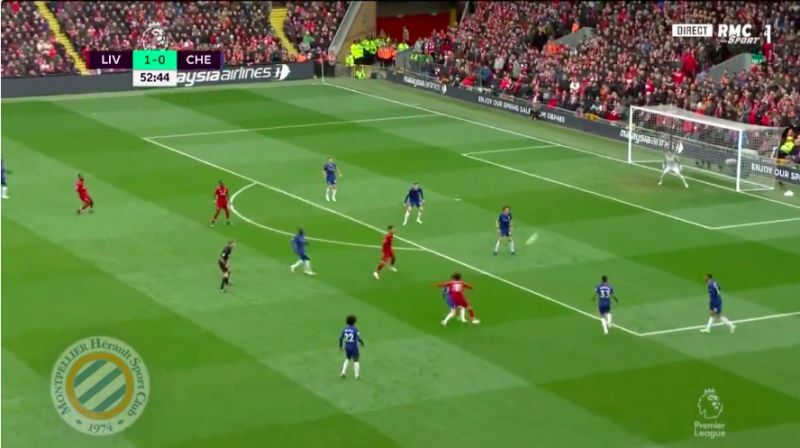 After his team-mate Sadio Mane had just opened the scoring, Salah thunderbolted in a left-footed effort from outside the box – leaving Kepa with no chance whatsoever. Anfield went completely berserk, as did our no.11, who is now on 19 goals for the season in the Premier League.